Production: JS Inuwa International Ltd. Cast: Ali Nuhu, Aminu Shareef, Abba El-Mustapha, Baballe Hayatu, Isa A. Isa and others. 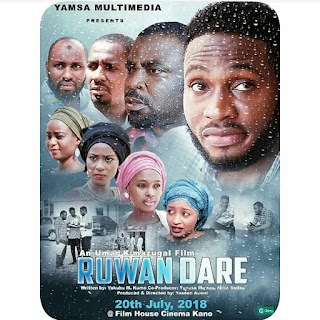 The biggest obstacle Kannywood filmmakers have to live with forever, probably, is all sort of judgement coming from a section of their audience. Naturally, people forget good behaviour and always recall the bad one. Anything wrong, unusual, sensational sells way more than the good, usual and ordinary does. It is, therefore, very rare to see a clip of a good Hausa film going viral on social media. Often, the video clip portrays something wrong about either the struggling film industry or the religion and ethnicity of its members. In most cases, these are taken out of context while others are not. 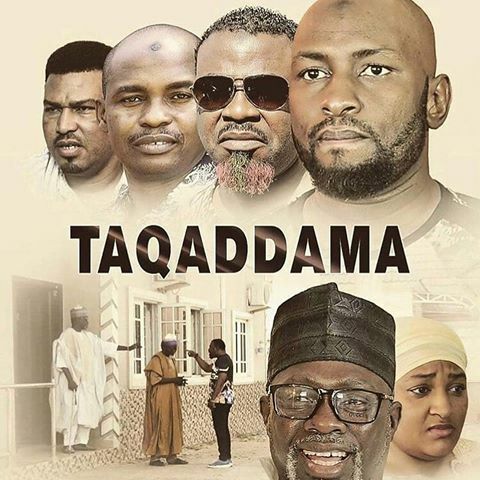 The movie Taqaddama is such a unique one in the history of Kannywood, particularly this year, for, among other peculiarities, it does not have a single song and dance sequence. Moreover, even the background music and the song it uses are original, though I am not very sure about the music. This is quite uncommon in an industry that feasts on the appropriation of other films. The industry has infamously copied numerous Bollywood films in ways such as story, plot, choreography, signature tune, among other ethoses. Ali Gumzak-directed Taqaddama tells “a true-life story” of a spoilt scion, Hassanu (Aminu Shareef). 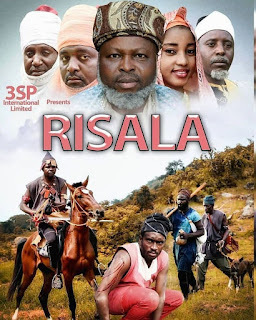 His highly politically connected, wealthy father, Alhaji Bilya (Ali Nuhu) does his son’s bidding, gets him out of jail when sued for any wrongdoing and refuses to welcome any criticism from anyone. It does not, however, end well for both. One day, Hassanu and a friend Salisu have an argument at a nightclub. Like a joke, the former vows to kill the latter, and he does exactly that a week later. He sternly warns their other friend, Nura (Abba El-Mustapha) who witnesses the murder never to tell anyone or get killed as well. Although Nura denies any knowledge about the cause of the death when asked by a soldier elder brother of the deceased, the guilt hunts him to his bed. He has a nightmare of an encounter with the police after which he wakes up shouting that he did not kill Salisu; it’s Hassanu that did that. This singular subconscious revelation eventually leads to the uncovering the whole case. Aminu Shareef aka Momo is, perhaps, the best for the role assigned to him. It is, therefore, no surprise if he delivers it impeccably. It is El-Mustapha’s impressive, very real-like performance that may amaze the audience. It is a considerable improvement on his acting style, for he is known to do otherwise. 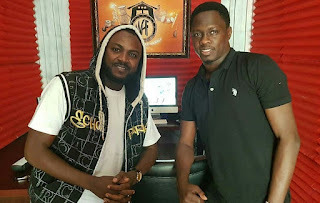 All the rest of the cast does no less good, especially Ali Nuhu. There is, however, a wrinkle with his role as Momo’s father. In short, an older actor would have fitted the cap better. Now, the father and the son are well-known to be contemporaries in the industry. Therefore, no amount of make-up can accurately suspend the audience disbelief. The crew members did a remarkable job. The cinematography is doubtlessly one of the best I have seen in Kannywood. The light is not always too bright but as lit as needed, making the visual language very comprehensive and beautiful. The use of extras is, however, quite weak. The protestors seem too mechanical, the interviews with some of them too long while the interviewers act unprofessionally. Although the incident is said to have happened in reality already, the film exposes, all the more, what occurs in today’s Nigeria. So, it can be described as a socio-political critique of the Nigerian society. It is, however, overtly didactic, which is not always wrong. Nevertheless, the moralism is unnecessary. Let the movie’s narrative do that – and any curious-minded spectator cannot miss it.